If you’re looking to lose weight or maintain your weight loss you should be eating fruits that are relatively low in carbohydrates. And even though these fruits are lower in carbohydrates if you are weight loss resistant or insulin resistant you have to be very careful in the amount of fruit that you are consuming on a daily basis. If you need help achieving your weight loss goals and/or improving your overall health and wellness I invite you to call us and schedule a free consultation. Call us at 215-821-7336 and we will be happy to schedule your free consultation. In addition to helping people lose weight we also provide aesthetic medicine procedures such as Botox and we can also help you improve your athletic performance and increase your energy levels through the use of Optimum Nutrition. Raspberries, ½ cup of raspberries has approximately 3 grams of carbohydrates. Blackberries, ½ cup of blackberries has approximately 4 grams of carbohydrates. Strawberries, 1/2 cup of strawberries has approximately 6 grams of carbohydrates. Blueberries, ½ cup of blueberries has approximately 6 grams of carbohydrates. Plum, 1 medium size Plum has approximately 7 grams of carbohydrates. Kiwi, 1 medium sized kiwi has approximately 8 grams of carbohydrates. Cherries, 1/2 cup of cherries has approximately 8 grams of carbohydrates. Cantaloupe, 1 Cup diced cantaloupe has approximately 11 grams of carbohydrates. Peach, 1 medium sized Peach has about 13 grams of carbohydrates. So there you have it, a list of the best low carbohydrate fruits. 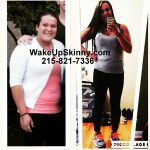 This entry was posted in diet doctors, Diet Doctors in Bucks County, Diet Doctors in Philadelphia, Medical Weight Loss in Philadelphia PA, Medical Weight Loss Philadelphia and tagged "Philadelphia Diet Doctor", Medical Weight Loss Philadelphia, weight loss philadelphia on May 25, 2017 by Dr. Michael Kenny.